Lego is finally coming out with a tablet and Smartphone compatible Lego Mindstorm set. 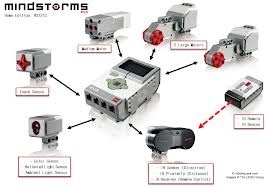 The Lego Mindstorm EV3 was announced at the 2013 CES show. The new Intelligent Brick uses an ARM processor and Linux OS base that allows on board programming. My guess is that apps can be created to interact and program the smart brick. Right now it appears that the only app that Lego will release will be a remote. 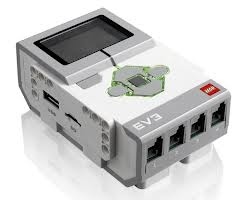 The new EV3 intelligent brick does allows connection via bluetooth and wifi. This should make things easier. 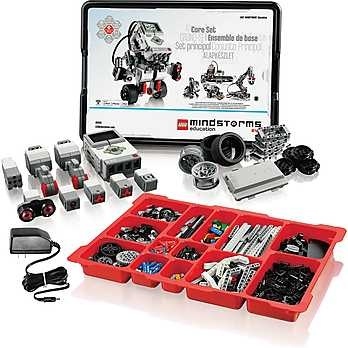 Unfortunately the new Mindstorm set will not be available until the summer of 2013. The Lego education website lists the availability as the fall of 2013. 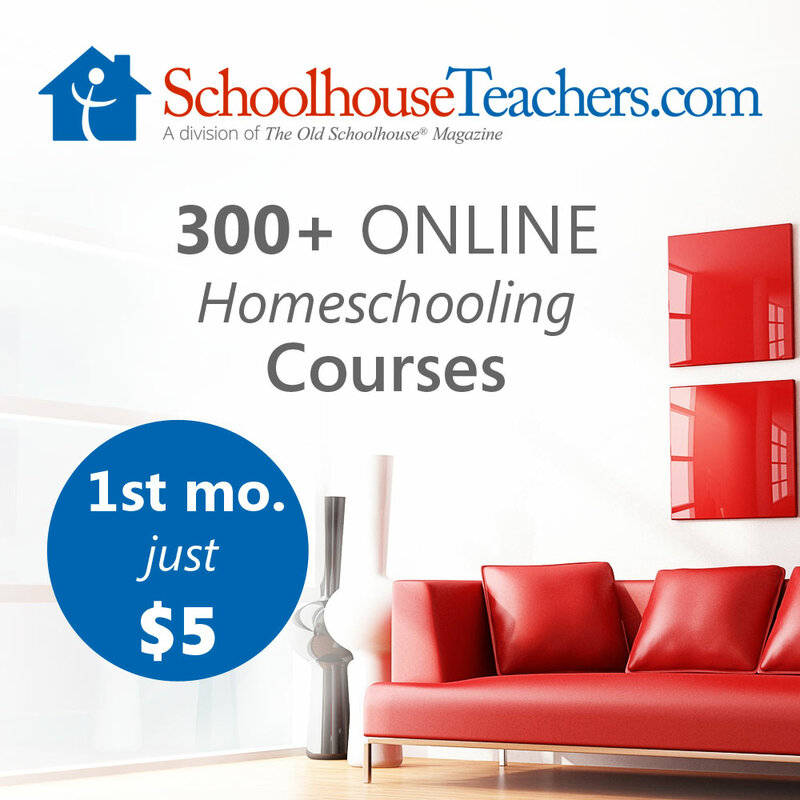 The education set also appears to be $10 cheaper at $340 but it does not include software. Hopefully software will come with the non educational set and hopefully in the future you will not need a PC. What do you think? 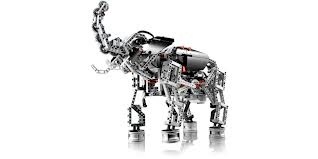 Will you wait until the fall to pick up the new Lego Mindstorm set? 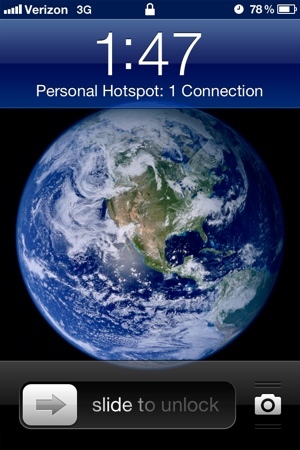 One of the best features of new Verizon shared data plan is the mobile hotspot feature. You no longer have to pay extra to use your phone as a mobile hotspot. Thanks to the new Verizon shared data plans my iPad is no longer unconnected. In fact I am writing this post from my WIFI iPad which is connected to my iPhone via WIFI. With the iPhone Hotspot I was able to check my email and preview this post on the iPad. Hotspot sharing was easy to setup. 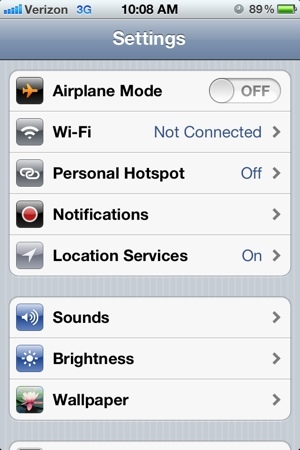 You just turn on the “personal Hotspot” in the iPhone options. It will tell you what the password is for the hotspot. On the iPad Setup was simple. You just select your phone from the list of wifi networks then you enter your password. Once you’re connect, the iPad will automatically connect in the future and you won’t have to enter your password again. There are also options to connect over Bluetooth or via USB. I’ll have to try those options at home. Will you use the mobile hotspot? By the way the 1GB data plan seems to be working just fine four our family with two iPhones. After all I was only using 200MB with AT&T. Update: apparently the iPad doesn’t always remember the password. Its been a few months since Apple announced iBook2 with interactive features but unfortunately there are not very many iBooks with interactive features. I was thrilled to come across the video below because it showed that there are interactive kids iBooks in the bookstore. (You can buy the interactive iBook on insects here.) The video below is an excellent example of how you can use the iBooks authoring tool. 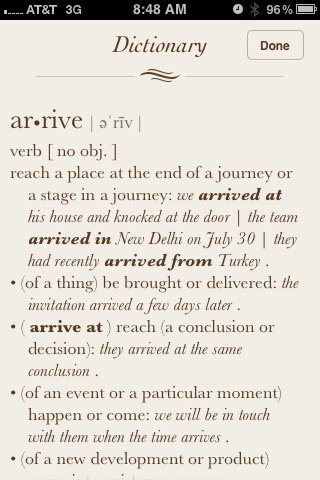 One of the nice features of iOS 5 is the define option. If you want to find out the meaning of a word just double touch the word. 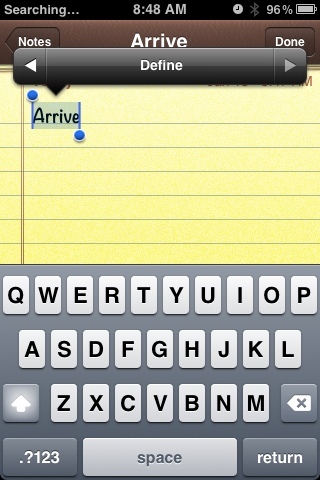 Press the arrow on the right and a define option is available. This feature seems to be available even without a network connection. I know that there are many tablets now on the market. When I first saw the iPad I immediately thought about the possibilities of using a tablet for homeschooling. I was a little hesitant to buy the first generation iPad because of the price. I also kept hoping there would be a good Android tablet that was cheaper than the iPad. After a year of waiting for Android, I finally decided to buy a second generation iPad. I have not regretted that decision. With five kids at home, the iPad is a favorite school activity. Large screen so more than one person can look at it. Built with quality and size. No cheap plastic. Long Battery life. I usually only charge it one or two nights a week. I bought a second generation iPad (16 GB) because it was the latest and it had a faster processor. In hindsight I think I would have bought a 1st generation iPad with more memory. 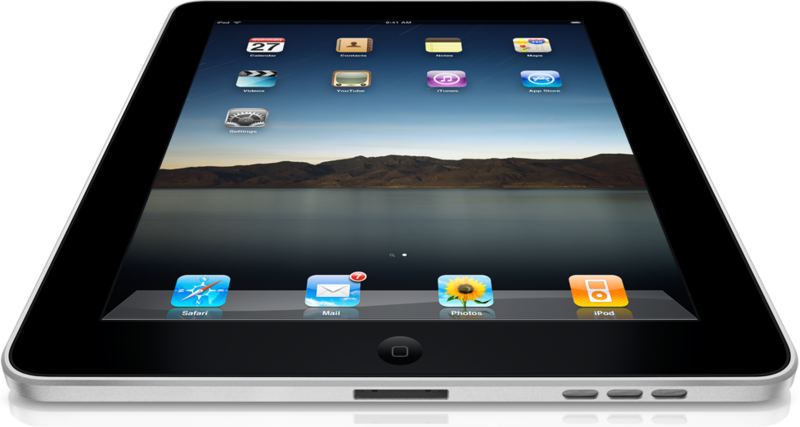 The iPad 2 does have some nice bonus features but for most of what you need the first generation iPad will work. Favorite feature: Automatic on with the cover opened. It is so nice to just open the cover and look something up and then close the cover and toss the iPad on the bed. Least favorite feature: The camera: It is low quality and the kids sometimes take many pictures that take up memory. A close second least favorite feature is the 1 speaker! It isn’t very loud especially in a family with four boys. Ultimately it now comes down to the software. Even though there are some good Android tablets on the market Apple has a good head start on applications. The applications make the tablet useful. The iPad is still the king of tablets. Help me clean my iPads memory! Help! I ran out of memory on my iPad! My 16Gb iPad is to full to add more content! After looking at my iPad closer, I discovered that one of my wonderful little angles used the camera to take the pictures shown above. They just so happened to be all the same! It was getting tiresome deleting one picture at a time. 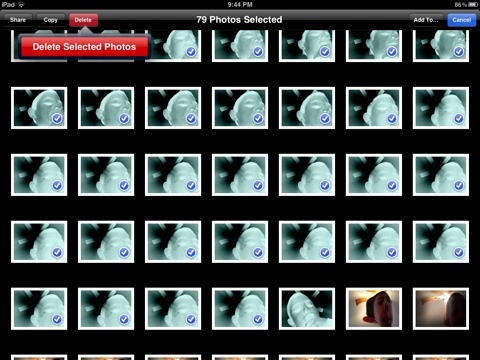 It seemed like there should be some way to delete multiple pictures at once on the iPad. Well there is a way to delete multiple pictures from the photo library. 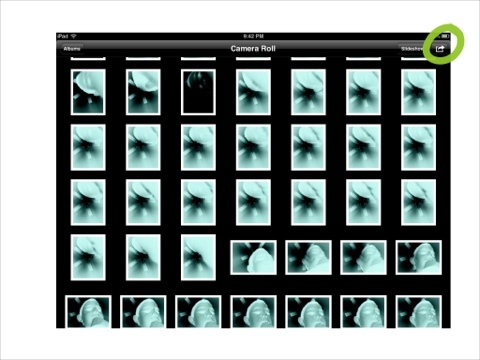 It’s not intuitive, but when you are viewing your photos, you can select multiple pictures. If you tap on the symbol in the upper right that looks like the symbol for export (highlighted in the picture below) you can select multiple photos. You can then select a number of pictures and then delete as shown below. I also found that I had multiple copies of PDF documents in different PDF reader apps. Some of the apps are easy to remove documents in iTunes but others require you to go into the app and delete the individual PDF documents. One of the nice features of ios 5 is that you can view the memory of each app. You can find this in Settings-> usage. You can delete the apps that use up a lot of memory. Now iCloud can be used to store up to 5GB of data free. This is useful if you have WiFi available. At the very least you can move some apps/documents to iCloud that you do not use very often. I have not found this option to be useful at this point but if you have found it useful I would love to hear about it.